In 2011 I was commissioned by 4A Center for Contemporary Asian Art to produce a limited edition art piece as part of their "Edition" project. I made Coral Jug for them. There are a limited number of the Jug available at 4A website. Get them before they go out of stock! "Srivilasa’s Coral Jug is a personal response to the significant impact that changing environmental conditions is having on coral reefs. 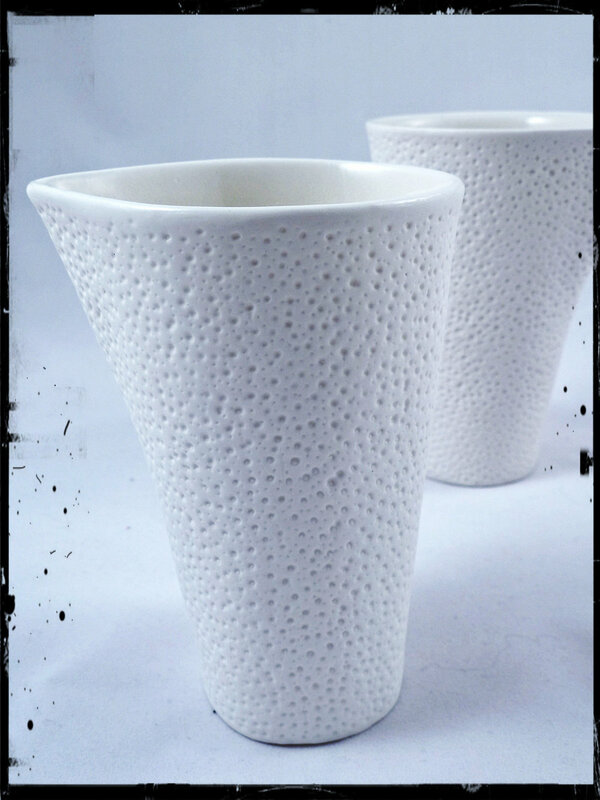 Srivilasa crafted the piece to resemble the texture of coral and glazed its interior to create a functioning jug. The artist encourages us to use this jug daily to remind us of the impact humans have on the fragile natural world. Many of you will remember Vipoo’s fantastic Roop-Rote-Ruang (Taste-Touch-Tell) dinner projects from 2008." A set of antique tea cups. I got them from Monday Antique market in China. The shop said they are Ming Dynasty! Hand painted small tea cups. Vipoo will open an online pop up shop on his Facebook Fan Page to share his travel experience through objects. "VIP's shop" will be open this weekend and only open for 3 days! (8-10 March 2013). 50% of the sell will go toward educational fund for homeless kids in Bangkok.